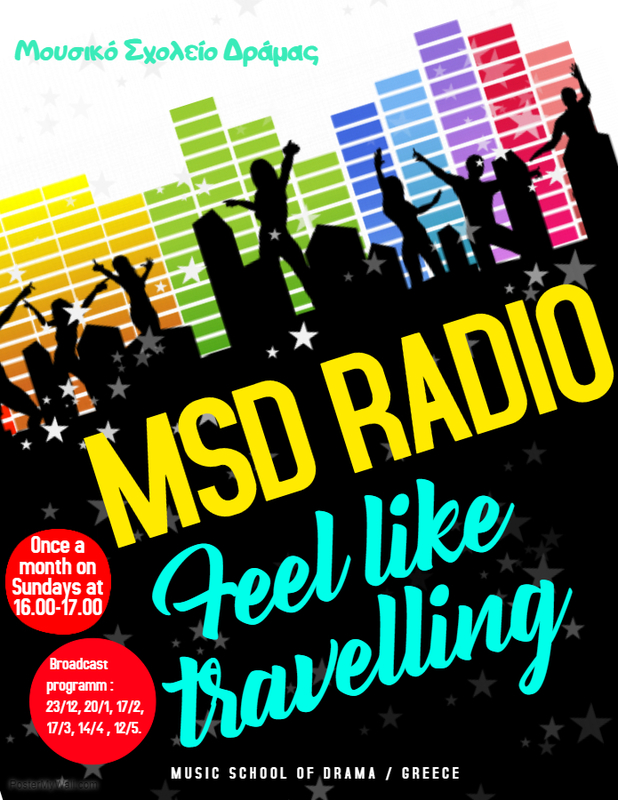 In April the Music School of Drama through MSD Radio offers you a travel in the world of music and poetry, from four till five o’clock. 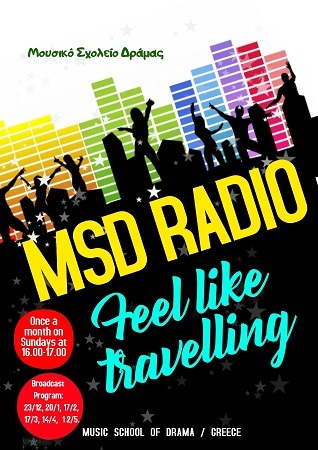 If you are bored listening to the same kind of music everyday, if the music doesn’ t appeal you, the Music School of Drama through MSD Radio, once a month on Sundays from 16.00 until 17.00 o’ clock, will keep you company, with music from all around the world, from reggae to metal music, from metal to pop, and a little bit of kpop music. MSD Radio, gets you everywhere!!!!! !